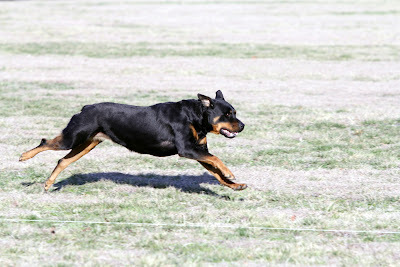 Rottweilers can be excellent companions for people and understand them and their special needs. Rotties have a lifespan of 8 to 10 years, a rottweiler can be a very important member of your family for a long time.Here are 5 things you should know and consider before u get a Rottweiler. Rottweilers are known for their unique energy, rotties need daily exercise and can be great workout buddies. If you don’t have a large yard where your dog can play and run, you should take your dog out for walking everyday. 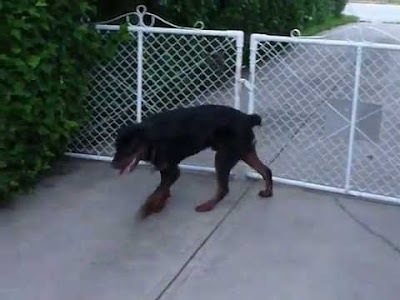 Before you adopt a Rottweiler, make sure that your dog can’t escape, because Rottweilers like to explore and roam. If you have pets such as cats, birds, rabbits and hamsters your home, Rottweiler should be exposed to them right from the start. Rottweilers can get along well with dogs of other breeds, but it varies by individual. 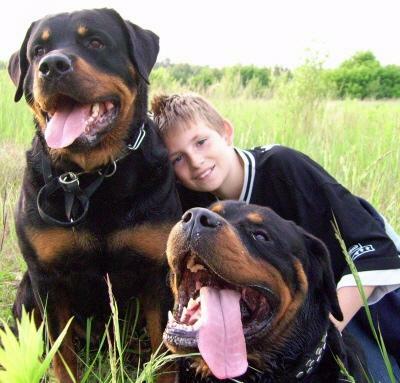 Rottweilers like children, especially if they're raised with them. When around children, especially young ones, they should be supervised because they are big and strong. Always teach children how to approach and touch dogs, and always supervise any interactions between dogs and young children to prevent any biting or ear or tail pulling on the part of either party.Teach your child not to approach dogs while he's sleeping or eating or to try to take the dog's food away. 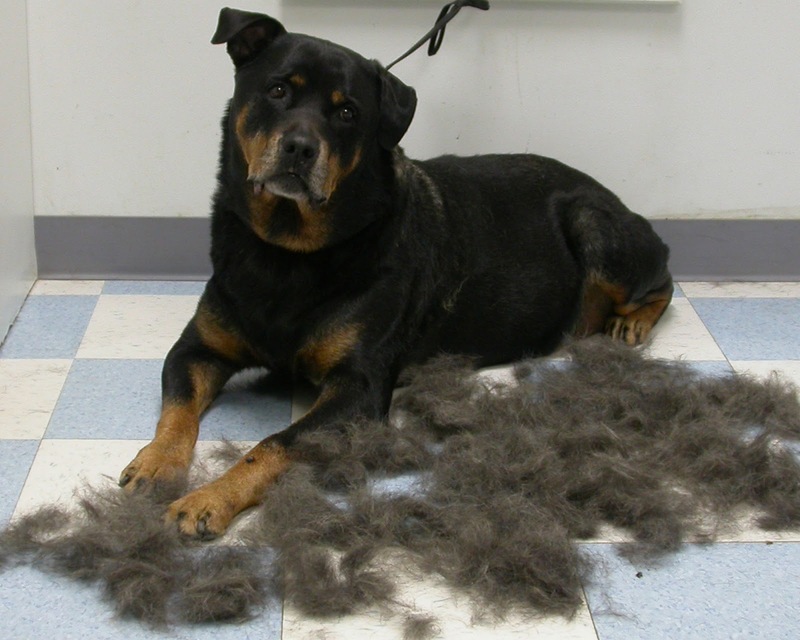 Rottweilers can shed alot because of their thick fur, especially at seasons and warm weather. Two times in one year they spend a week or more shedding very heavily. Plan on vacuuming your dog frequently, brushing at least daily and sharing your home with clumps of fur. Yep and remember they have very hard heads, when rambunctious don't bend over in front of them, you just may end up with a broken nose like I did. And they love to test the "alpha" of the house. A few broken ribs here. Their loyalty is unflinching. I have 4 girls...Kuttie who's 6 and her chelas(sidekicks!!) : Salt, Pepper and Chilli who are 2 and are terrified of Kuttie though they tower over her!!! !